In an export marketing environment that has become more complicated, dynamic, and multidimensional, achieving success can be quite challenging. 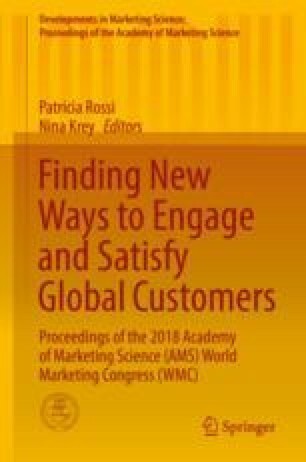 In the literature, export marketing orientation (EMO) has been consistently considered as one of the key predictors for export success (e.g., Murray et al. 2011; Wheeler et al. 2008). EMO provides firms with the capability to explore emerging opportunities and exploit existing product market competences to enhance export performance (Kuivalainen et al. 2007; Sundqvist et al. 2012). Likewise, marketing capabilities (MC) generate information that is hard for competitors to copy and that is secretly held (Murray et al. 2011). MC are unique because they combine the employees’ knowledge and skills with their past experiences in new product development, sales, and distribution activities. This study examines the effects of export market orientation (EMO) and marketing capabilities (MC) on export performance. Using survey data of 393 export manufacturing firms based in Turkey, we tested the direct relationship of MC and EMO on export performance as well as the interrelationship between MC and EMO. Through structural equation modeling, we found that both EMO and MC positively influenced Turkish firms’ export performance. In general, we can conclude that EMO and MC are statistically significant factors contributing to Turkish firms’ export performance. As a result, it should be emphasized that Turkish firms strengthen their marketing capabilities (distribution, promotion, and sales) and export market orientation levels to enhance success. However, it is noteworthy to mention that it appears that other factors not included in the proposed relationships (such as competitive intensity, HR capabilities, market turbulence, etc.) explain majority of the variation and therefore warrant further investigation. Turkish manufacturers engaged in export activities are well advised to keep this in mind.